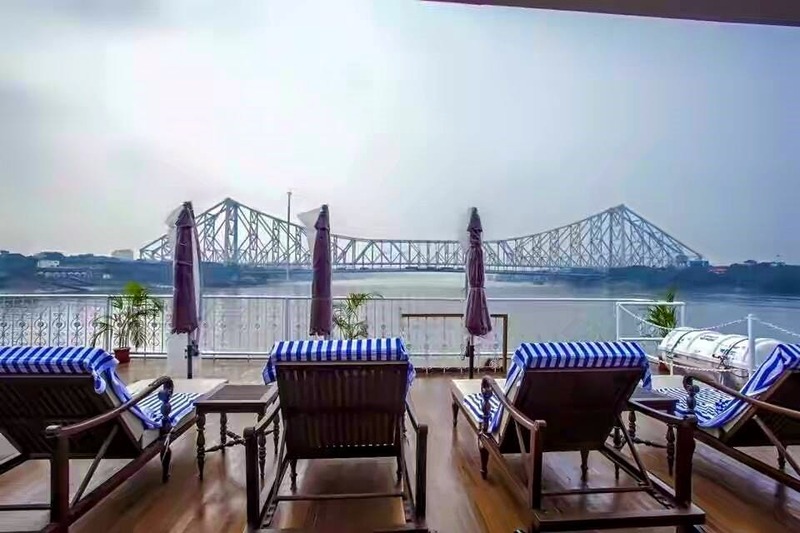 Here’s great way to explore Bengal – on the Hooghly in a big cruise ship! Go on a memorable journey exploring hidden corners of Bengal from historic palaces to temple towns and vibrant markets. Take a seven-day trip on the Ganges Voyager – a floating boutique hotel with 28 luxe suites. And it reeks of luxury. You’ll feel like royalty in the beautifully appointed suites – with floor-to-ceiling French doors, four poster beds and panoramic river views, they are a throwback to the opulence of the Raj. The Maharaja suite comes with its own large bathroom and bathtub! There’s lots to do on board as well. They have film screenings, classes on Indian spices, culinary demos, music and dance, and tutorials on how to wear a sari. You can get a massage at the in-house spa, work out at the fitness centre, or relax in the indoor and outdoor lounges with a book. It is part of the cruises offered by the Exotic Heritage Group who have a range of Heritage River Journeys. The heritage cruises run from September to March but they are booked way in advance – so if you are interested, better move fast. We hear that they will soon extend the trip to Dhaka! Because you will experience Bengal and life along the Ganges from a different perspective. You’ll set sail from Kolkata and travel along the river to Bandel (where among other things you can take in the spectacular Hooghly Imambara), and Khoshbag where Siraj-ud-Daulah is buried, explore the temples of Azimganj and Kalna (a town that’s famous for terracotta temples), the grand Hazarduari Palace (literally ‘Palace of the Thousand Doors’) and visit craft hubs like Matiari where the famed kasha or bell metal utensils are made.